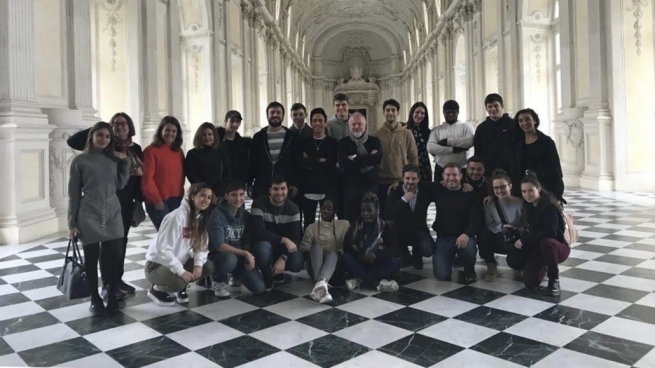 (MissionNewswire) The Salesian EntreApp project has connected youth in Valdocco, a quarter in the city of Turin, Italy to youth in Salesian programs in Seville and Bilboa, Spain and in Versailles, France. The EntreApp project brought together students in Europe to help develop an app that promotes tourism in Seville. Each Salesian center had a well-defined role in the project. Students at the vocational training center in Valdocco were responsible for the graphic design layout of the app along with printing the materials and the graphic interface. Students at the Colegio San Pedro of Seville have written the computer code to program the app and students in Bilbao translated the content into Spanish through audio-video contributions and QRCodes that will apply to every single point of interest for tourists. Finally, students at the professional technical high school in Versailles are translating the content into French. With the app, tourists will be able to find points of interest and useful information to enhance their travel experience. This project enables students to apply some of the lessons they have learned in the classroom to real-life experience.